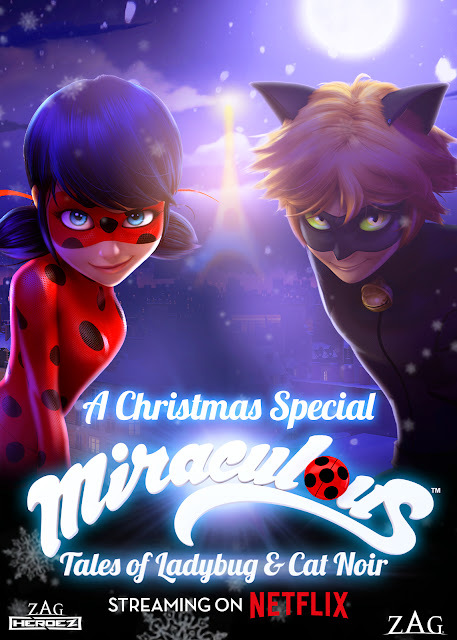 My kids have become big fans of the animated television show Miraculous: Tales of Ladybug & Cat Noir which features the adventures of two teen-aged super heroes with European flair. When the treacherous Hawk Moth uses his evil energy to transform the citizens of Paris into super villains, only Lady Bug and Cat Noir can save the day! With the help of their magical Kwamis, this duo teams up to outwit Hawk Moth and keep their city safe. These super heroes biggest challenge though may not be battling evil doers though but rather graduating high school. 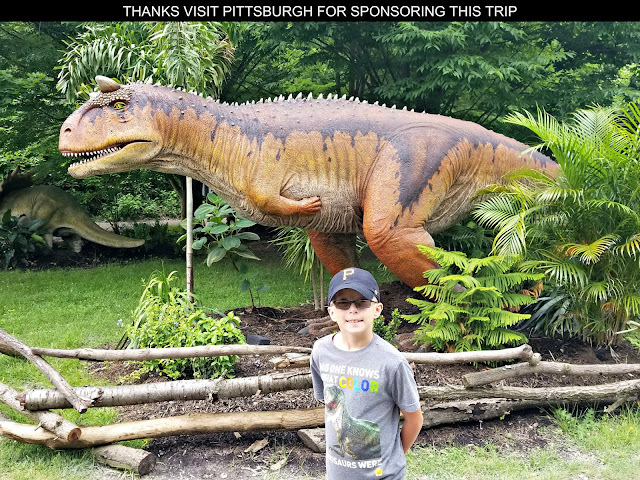 It has to be hard to juggle schoolwork, friends and family while growing up when every day is a super-powered adventure. Up until now to watch this globally distributed show by ZAG Entertainment in the United States fans had to tune into the Nickelodeon cable TV network or watch episodes that have been released on DVD. A new option to view the show is now available as it can be streamed from Netflix. To celebrate the holidays and its this new broadcast partnership, the animated series is having a special premiere for the American market. 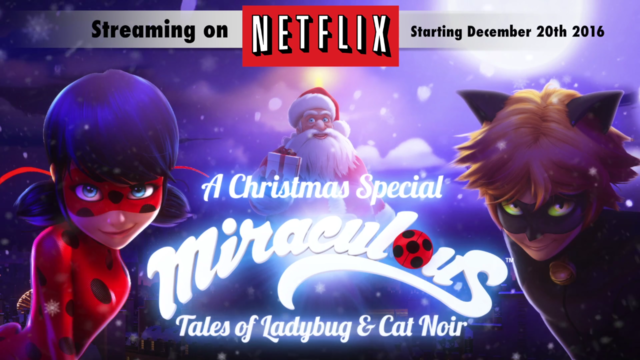 From now through the end of the year, Netflix is streaming the Miraculous: Tales of Ladybug & Cat Noir Christmas Special. It’s Christmas! While preparing for Christmas Eve with family, Adrien is about to spend his first Christmas without his mother. Thinking that his father does not want to celebrate the holidays this year, the schoolboy, saddened, turns into Cat Noir and leaves the family home to sing his anger in snowy Paris. When his father, Gabriel, discovers that Adrien is not in his room, he becomes worried, afraid that he could be in danger and anything can happen. Hearing the news, Marinette immediately transforms into Ladybug, determined to find her Adrien. When she finally finds him in the company of a Santa, Ladybug thinks the Santa is akumatized and wants to trouble Adrien. 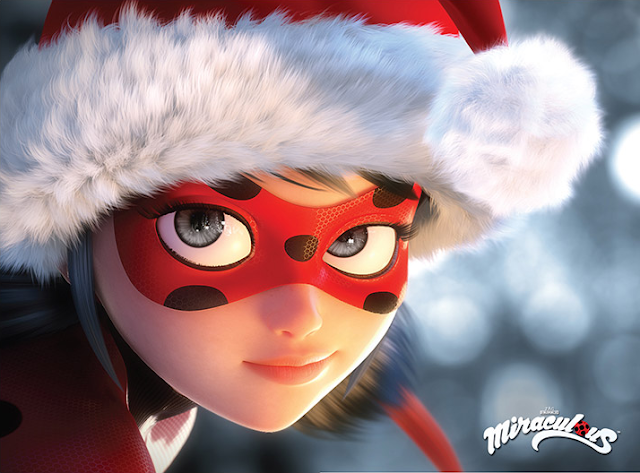 Blinded by her love for the young man, Ladybug is wrong and creates negative emotions in Santa who actually becomes a victim of Hawk Moth. As a supervillain now, he is determined to make this Christmas the worst in the history of Paris. Can Ladybug and Cat Noir succeed in saving Christmas? If you have a Netflix account make sure to check out this Christmas Special for an action packed holiday adventure! Then starting in 2017, Netflix will begin airing additional episodes Miraculous: Tales of Ladybug & Cat Noir with Season 1 premiering on February 14 and Season 2 launching in June. Netflix has acquired the USA streaming video on demand rights for three season of ZAG's Miraculous Ladybug series (78 x 22-minute episodes). Of course based upon the success of this television series there are toys to tie-in to it. I really like the Miraculous Ladybug & Cat Noir action figures because my son and daughter play really nice together as they act out adventures with these toys representing the characters from the show. They've spent hours engaging in imaginative play pretending to save the day from the villainous Hawk Moth. 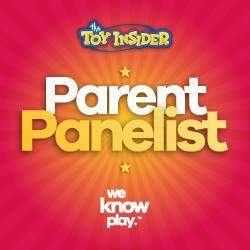 Check out the whole line of toys from ZAG Entertainment at Toys R Us.